Also, one traveled 1000+ miles to reach me, the other traveled 20 miles. 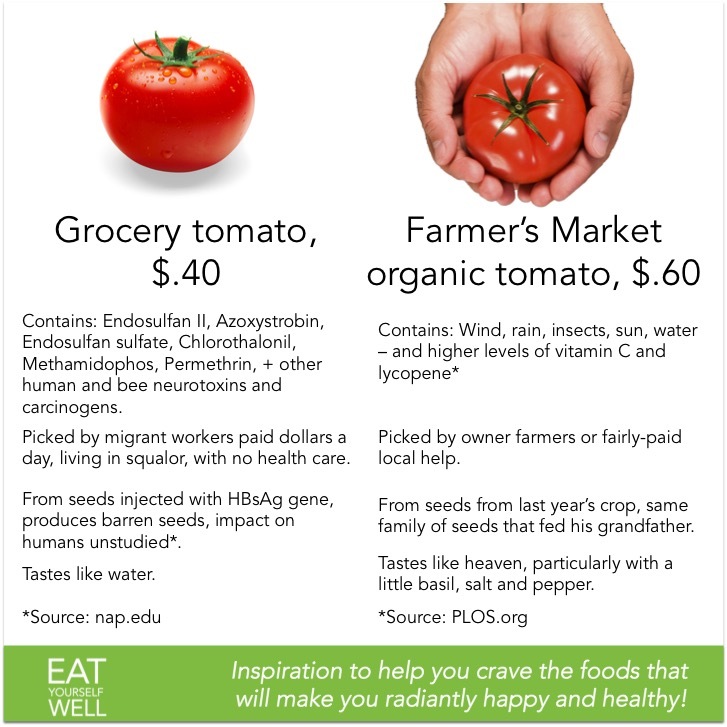 Hold onto this to send to people when they complain that organic is “too expensive.” This organic tomato looks like a bargain when you look at it this way, doesn’t it? I know which one I want in my body, and which world I want to support with my purchase. « We’re giving away two cookbooks – The Plantpower Way, by Rich Roll and Julie Piatt!